Built in 1865, the building had been converted from its original use as a place of worship into a two-bedroom home in 1980. The current owners wanted to enhance it, however, by adding a large extension to give them a new master bedroom, complete with en suite bathroom. They also hoped to create a garden room lounge space to take advantage of views over a nearby ancient mill house and river. 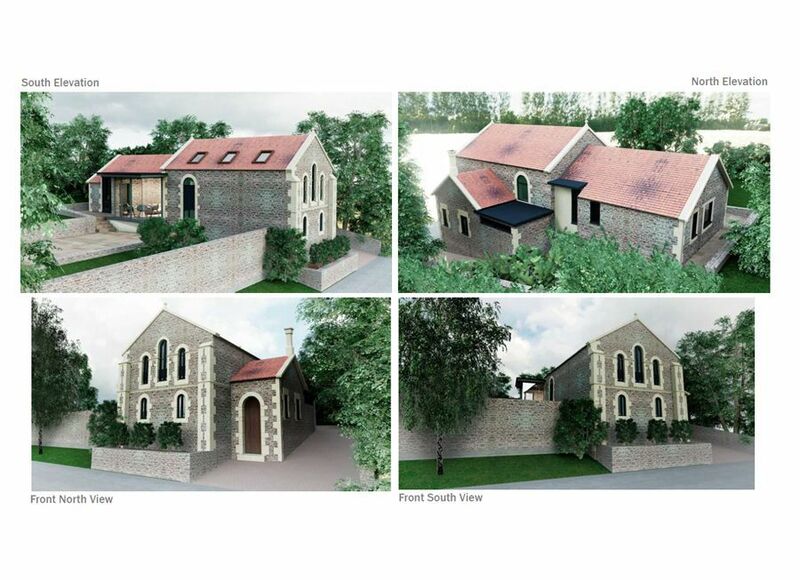 Because it was in a conservation area, and because of the unique nature of the building, the client and I obtained pre-application advice from the local authority. This enabled the design to be developed following the specific recommendations from the local planners. The pre-application set out clear rules in terms of materials to be used and how the extension should be located to protect views from the road. I worked the design around these guidelines, seeking opportunity to do so in such a way that a contemporary viewing gallery could be incorporated. This was created with full-height glazing to create deliberate contrast between the new and old sections of the building. When it came to the application itself, I submitted a design statement in support of the design approach, referencing how the drawn proposals met with the pre-application guidelines. From there, the process went smoothly: there were no objections raised from any party, including neighbouring property owners, and permission was granted. I was able to work closely with the builder and client to manage costs and ensure we delivered a build that was true to the design. The clients were thrilled with the results and are very happy in their extended home.